Commercial free to air television broadcasters have today rejected an unwarranted ban on the promotion of betting services during live sporting events on TV, proposed by the Federal opposition. “Commercial broadcasters already have the most comprehensive, targeted set of restrictions on the promotion of betting services of any media platform in Australia,” Free TV CEO, Mr Brett Savill said today. These measures include a ban on the promotion of live odds during play, as well a ban on the promotion of odds by commentators and their guests for 30 minutes before and after play. • all advertisements relating to betting and gambling during any program that is broadcast between 5.00 am and 8.30 pm and that is principally directed to children, regardless of the classification. These strong protections were endorsed by the Australian Communications and Media Authority which registered the current Code in November 2015 following extensive consultation to ensure it provided appropriate community safeguards. Complaints about betting are low, and broadcasters have demonstrated very high levels of compliance to the Code over a sustained period. The recently published Australian Gambling Statistics indicate that total sports betting turnover represents less than 4% of total gambling turnover. Introducing new restrictions which single-out free to air television - which continues to be the most heavily regulated media platform in Australia – is entirely unnecessary. In fact, doing so would risk regulatory by-pass and put commercial free to air broadcasters at a competitive disadvantage compared to other media platforms, while failing to achieve the policy intent. Commercial free to air television broadcasters have today welcomed the Government’s introduction of legislation to force multinational tax avoiders to pay their fair share. 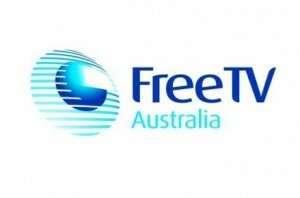 “We strongly support measures that require foreign multinationals to be on a level tax playing field with their Australian based competitors,” Free TV CEO, Mr Brett Savill said today. Without these measures, foreign multinationals will continue to avoid paying tax placing them at an advantage to their Australian competitors. “In addition to paying corporate taxes, Australian free to air broadcasters already face the highest licence fees in the world—115 times higher than in the United States,” Mr Savill said. Despite competing against services that are unregulated, pay little or no Australian taxes, and do not invest in local content production, Australia’s commercial free-to-air broadcasters are responsible for $6 out of every $10 spent on domestic content. Over 13 million Australians watch commercial free-to-air services every day. Australians continue to rely on commercial free to air television to watch their news, sport and current affairs. Fixing multinational tax avoidance is an important initial step towards fairer competition. “We will continue working with the Government on reducing the outdated licence fees as the next critical step in ensuring Australians can continue to enjoy their favourite Australian drama and live sport free on TV,” Mr Savill said. Tonight’s commencement of the blackout period for television political advertising in WA is yet another reminder of how out-dated this restriction is. “In an age where political parties are using multiple platforms to reach out to voters, it makes no sense to continue to apply a restriction to just one form of media,” Free TV spokesperson Ms Pam Longstaff said today. This restriction comes from legislation passed 25 years ago—well before the advent of social media, the proliferation of online news sites, Pay TV and high-speed internet access. “From midnight, the online news and Facebook feeds of Western Australians will be flooded with political ads—as marketing budgets are switched from broadcast to social media,” Ms Longstaff warned. Free TV is again calling for this outdated restriction—that applies only to commercial broadcasters—to be removed. “There is no reason for this restriction to continue to exist in 2017. It only serves to put commercial broadcasters at a disadvantage to all other media and is entirely at odds with modern marketing techniques,” Ms Longstaff said. It’s time for the blackout period to be abolished and for political advertising regulation to catch-up to the rest of Australia. Free TV Australia welcomes today’s announcement from the Government for interim relief from the broadcast licence fees for 2016/2017. The regulation announced by the Government today sees the abolition of the licence fee for 2016/2017. “This provides welcome relief for our industry, which is challenged by increased competition from large multinational tech and media companies,” Free TV Chairman, Mr Harold Mitchell AC said today. “In the internet age, it makes no sense to continue to impose the world’s highest licence fees when these foreign media tech companies pay nothing,” Mr Mitchell said. Abolishing the broadcast licence fees and imposing a new spectrum charge are key components of the media reform package announced by the Government on 6 May 2017. “Licence fee relief is critical for broadcasters to invest and transform their businesses. It is now up to the Senate to do its part in permanently replacing the licence fee with a spectrum charge. “It is crucial for Australian jobs and our ability to continue creating great local programming that the Parliament passes the media reform package in August. “If we are serious about diversity of Australian voices, we have got to get serious about comprehensive media reform. We cannot allow local media companies to continue being strangled by out-dated media ownership laws,” Mr Mitchell said. Bruce Gordon's WIN Corporation has rejoined Free TV, ending its more than two-year absence with its disagreement over media reform long behind it. to make Government funding available to Netflix. streaming services like Netflix and Amazon Prime. that advantage unregulated competitors on digital platforms. how Australians are consuming content and are in urgent need of a complete overhaul.